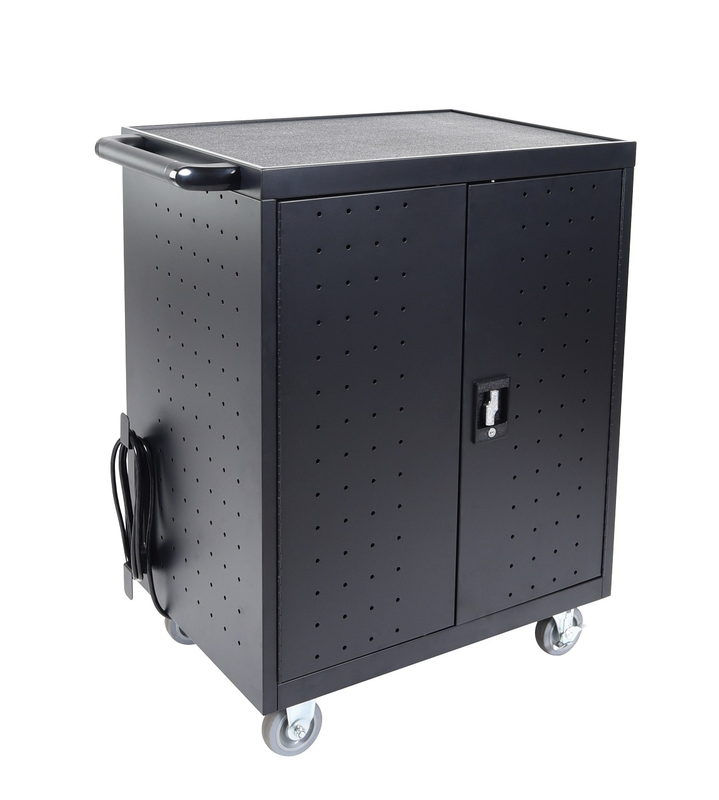 The Luxor 32 Laptop or Chromebook charging cart with Timer is a durable and energy efficient cart that includes a timer that alternates between the two 16-outlet power strips so you can charge in stages without overloading circuits or blowing a fuse. When in transit, your laptops wheel from one room to the next with sturdy 4" non-skid casters, and devices remain in place while resting in between rubber-coated steel dividers on rubber matted shelves. If not in use, store the cart safely by locking the two lock doors. 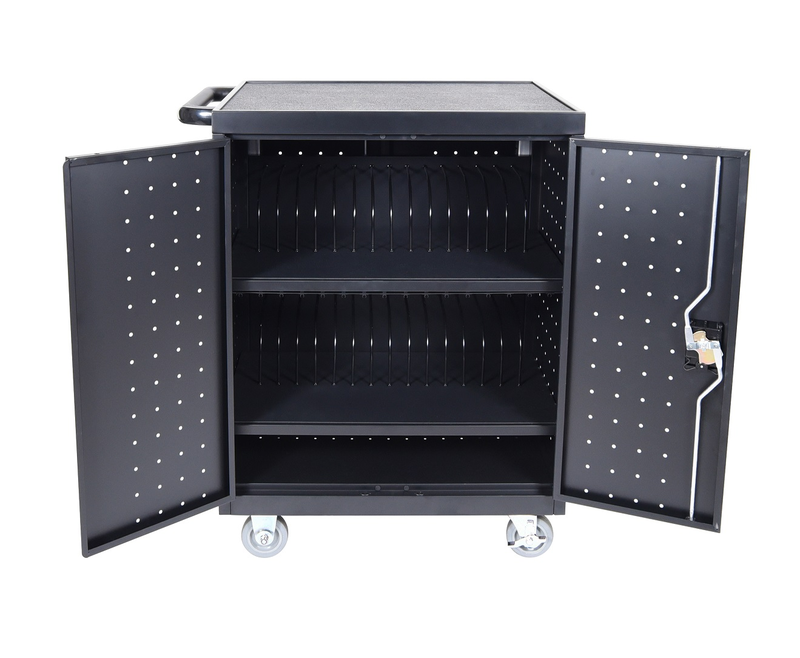 Eliminate the unnecessary hassles of charging and storing multiple devices with this dependable laptop charging cart. Perfect for schools, hospitals, and businesses. Manage carts with inside cable-wrap hooks. Rubber padding on top of cart provides additional work space. Ships by Truck ion one carton. Easy assembly; simply attach the casters and handle. Bottom shelf is 28"W x 16"D x 4"H.